Australian companies have signed pilot orders with an international SEA 5000 Future Frigates bidder, joining its global base of 80,000 subcontractors. Fincantieri has announced it has placed pilot orders with Australian companies Hoffman Engineering, BlueScope Steel and Calibre. Fincantieri Australia chairman Dario Deste will aid in the successful vendors gaining valuable experience if the Italian firm is selected as the successful SEA 5000 tenderer. "Pilot orders provide the real work necessary to gain the return on experience needed for complex industrial co-operation," Deste said. Hoffmann Engineering will manufacture a bow thruster for a Middle Eastern navy's Landing Platform Dock in Australia, and will maximise the use of Australian industry in the manufacture of components and sourcing of raw materials for the thruster. "This work not only provides an advanced ship equipment item to an export customer, but provides valuable return on experience for Fincantieri to plan further technology transfer into the Australian manufacturing industry," said Deste. Additionally, Fincantieri and Hoffman Engineering have entered a memorandum of understanding to co-operate in the development of Fincantieri’s $250 million global market (over five years) for the manufacture of marine systems and components. "Whenever a new supplier joins Fincantieri, it’s always about joining a new market as well as participating in a one-off project," the chairman said. The pilot program with BlueScope Steel will see the company supply steel for use in cruise ships and future test blocks of cruise ships constructed in Australia, while Calibre has been selected for the preliminary design of an advanced manufacturing facility in Adelaide for the integration of mechanical equipment to the Future Frigates, as well as ships built in Fincantieri’s 20 shipyards globally and other ships in Australia’s fleet. "The integration and manufacturing facilities we plan to bring to Australia will significantly contribute to Australia’s continuous naval shipbuilding industry," Deste said. 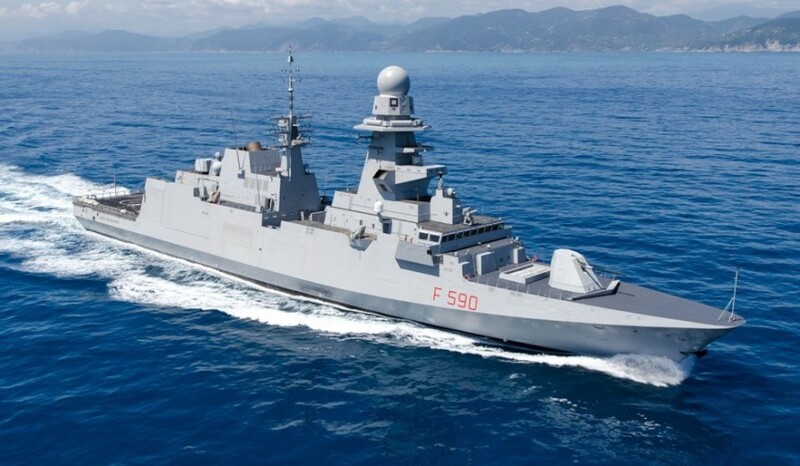 Fincantieri have put forward its FREMM Frigate design and is competing against the UK's BAE Systems and Spain's Navantia. The three primes are competing for the design, build and sustainment of the nine new anti-submarine warfare frigates to replace Australia's Anzac frigate fleet.